After complaining about the (un)availability of Magico’s superb, limited-edition, $129k M Project loudspeaker (see my review in Issue 255 or online at http://www.theabsolutesound.com/articles/magico-m-project-loudspeaker/), I am happy to report that Alon Wolf has done something to make things better. No, he hasn’t built more M Pros, but he has launched an entirely new line of loudspeakers based on the driver and enclosure innovations first seen in the Pro. 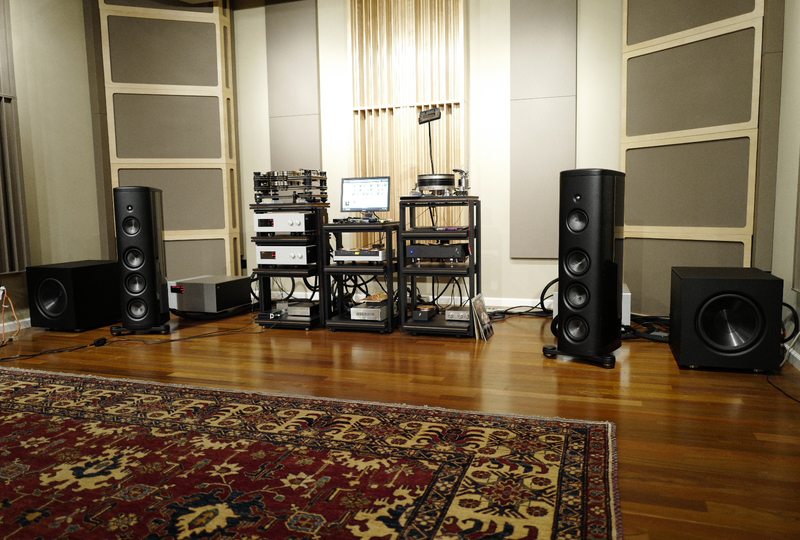 On a visit to the Bay Area in late August, I spent the better part of two days listening to my own vinyl (I brought some 20 LPs) and select digital files through the first offering in Magico’s new M Series lineup—the $75k M3 three-way, five-driver, sealed-box floorstander—and if this new speaker is representative of what’s in store for Magico fans, you’re going to want to give the M’s a long listen. Wolf claims that the M3 is the most technologically sophisticated speaker he has made. In fact, he thinks it is his best work—but then he always thinks his newest babies are his best work. This time, however, he might be right. The M Pro aside, the M3 certainly sounds different than previous Magicos in ways that are, to my ear, entirely for the better. Though neutral in balance and still blessed with the ultra-high transparency, speed, and resolution that are Magico hallmarks, the M3 has the same strong taste of natural timbral warmth and sweetness from the bass through the treble that I’ve grown used to with the Pro. However, it does something else that even the Pro doesn’t do to the same extent—the M3 pulls off a disappearing act that sets a new high for Magico multiways, and a soundstage of dimensions that set a new standard for me in all-dynamic floorstanders. Derived from the Pro (with an added fillip taken from the S Series and a new innovation in driver coupling), the M3’s box uses Magico’s traditional, massive, damped aluminum front, rear, and bottom panels—and its elaborate, bolted-together, aluminum latticework/substructure inside the cabinet—but adds curved carbon-fiber side panels à la the M Pro and a brand-new aluminum top cap (not found in the M Pro) that has a machined-in curve to it. The physical result is the most aerodynamic, diffraction-free enclosure Magico has yet come up with, and the sonic result is the standard-setting disappearing act and soundstaging I just reported on. There is an additional benefit to Magico’s best-ever, lowest-diffraction enclosure that can be heard in the seamless blend between the tweeter and the midrange and the natural warmth of timbres (orchestral strings, such as those on the great RCA recording Rhapsodies with Stokowski and the RCA Symphony of the Air, are simply and breathtakingly gorgeous), though this may also be due to refinements in the driver complement. Indeed, while similar to the M Pro, the M3 uses somewhat more sophisticated drivers than the Pro—its three 7" woofers, have later-gen graphene diaphragms (said to be 20% lighter and 300% stiffer than the nanotube-carbon cone material used in the Pro)—and a new and improved driver mounting system that employs a solid copper gasket to maximize coupling to the chassis and minimize the transference of resonances. The large 28mm diamond-coated beryllium tweeter (the same one used in Q7 Mk II) is also an improvement over the tweet in the M Pro. The other driver in the M3—the 6" graphene-diaphragm midrange—is the same as that in the Pro, and Magico has included the same polymer sub-enclosure for the midrange found in the Pro (and derived from the S Series), which is said to enhance control and articulation, not that Magicos ever wanted for such things. The fact that the M3 uses three 7" woofers, rather than the three 10-inchers found in the M Pro, makes for a slight difference in power-range fullness and low-bass extension (the M3 is said to play on its own into the upper 30s) vis-à-vis the Pro, though the difference is surprisingly small and can be completely eliminated by adding a pair of $22k QSub 15s or $12k JL Audio Gothams to the package, crossed over around 45-55Hz. (For all sorts of reasons, I’m all in favor of using really good subwoofers, like the Magico Qs or the JL Audio Gothams, with full-range loudspeakers.) With the QSubs in and Soulution electronics driving the entire she-bang and TARA labs Zero & Omega Evolution SP audio cables hooking it all up, I would be hard pressed to say that I heard a substantial difference between the M3s and the M Pros on a powerful, deep-reaching pop cut like “I’m the Man to Be” from El Vy’s Return to the Moon. No, you don’t get all the midbass slam you may be used to from a ported loudspeaker, but you will still get goosebump-raising power, sub-20Hz extension, lifelike tone color unobscured by port resonance, and the peerless bass-range clarity of a sealed box.